at end says "一卷終 end of first folio"
"Printed in Nanjing...by Tang Fu Chun"
Music of 2nd half repeats first adding ornamentation; it is also used here for Xing Tan Yin. 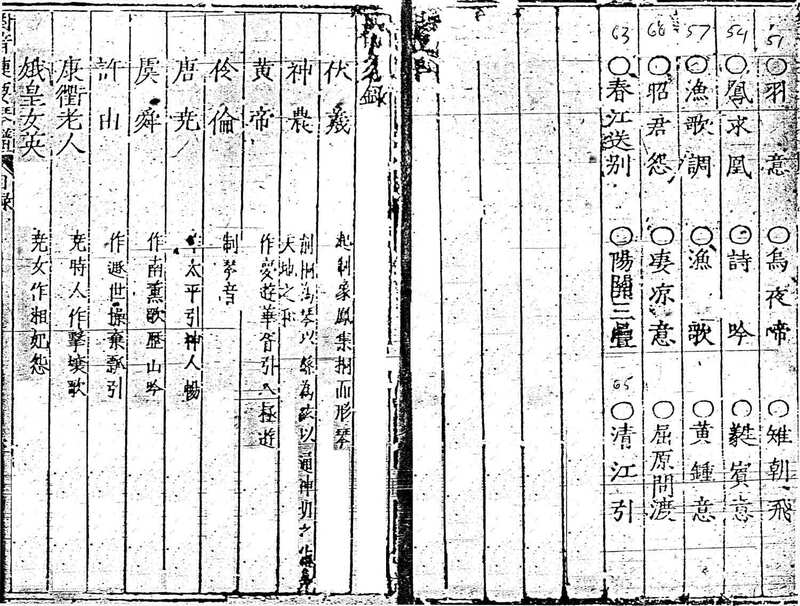 In her transcriptions of qin songs Wang Di substitutes different lyrics and calls the piece Ke Zhi (q.v.). Tuning not indicated, but seems to be standard. Only here and 1585, which is somewhat different. This online copy has the full title on the electronic p.6. 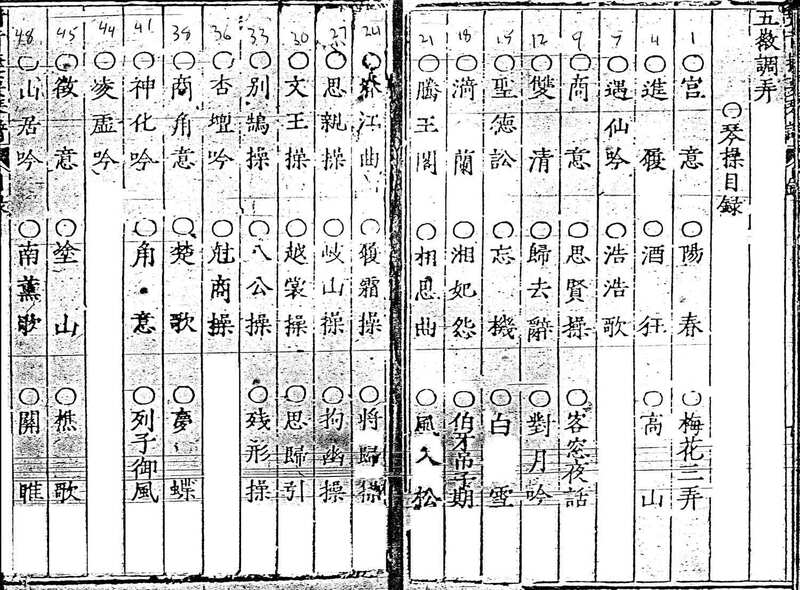 It identifies itself in the margin as "對音捷要琴譜", then at the end (p. 284 of 285) says, "真傳琴譜六卷大尾終". 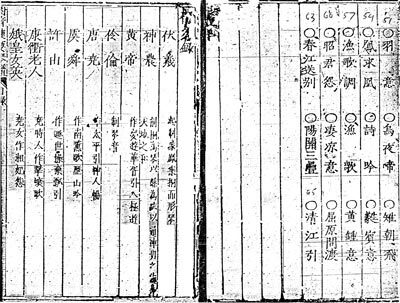 The similarly titled 重修正文對音捷要真傳琴譜大全 in 四庫全書存目叢書 Siku Quanshu Cunmu Congshu may be just another name for 重修真傳琴譜. 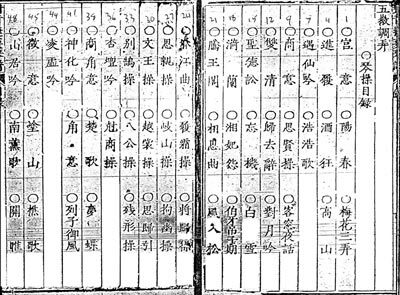 The 1585 Chongxiu Zhenchuan Qinpu has tablature (qinpu) for 105 pieces; that includes 45 of the 64 titles from 1425.